The complaint was filed and we would have to await the ruling. The length of time for the complaint investigation to be processed by OCR was considerably longer than that under the State complaint. http://www2.ed.gov/about/offices/list/ocr/docs/ocrcpm.html) OCR can extend that time frame as they wish. They did extend the time frame beyond the 180 day estimate to complete their investigation of my complaint. I called them almost daily requesting the status of the investigation and when we could expect the ruling. They continued to say that they were investigating and would let me know when they had something concrete to share. My son continued the bus rides and the school year was rapidly coming to a close. With the additional assistance of instruction from the teacher of the hearing impaired, and the assistance of an aide when he was in the general education classes, my son was performing on or above grade level and had made progress in all areas. We met again at the IEP meeting regarding the provision of Extended School Year (ESY). (http://www.fldoe.org/ese/pdf/esytrain.pdf). At that meeting, the team agreed that my son was eligible for ESY, and that he would return to our community to attend the summer program at a neighborhood school. It was at this time that I knew he would not be going to school out of our district again. I had learned so much about IDEA and Section 504 that I was no longer the gullible trusting parent from before. I was an informed parent, and a force to be reckoned with! I continued to address the School Board with parents. Other parents of children with disabilities watched and listened to the things that were being said and began to come forward addressing issues of their own. We were fast becoming a unified parent grassroots movement. OCR had notified the board of my complaint and in their investigation had started by requesting documentation. 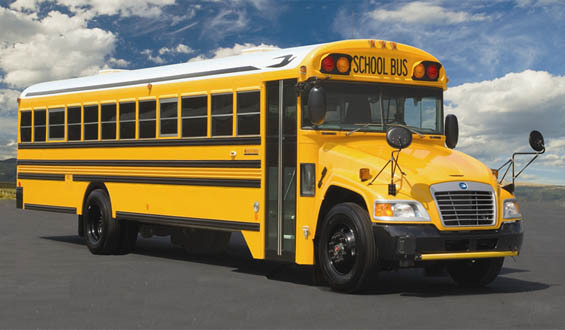 When I filed on behalf of my son and other children with disabilities, regarding length of time on a bus, it expanded the complaint which meant looking at the length of time every child with an IEP in the entire district was spending on a bus as compared to their non-disabled peers. The Board was starting to explore options to bring our children back. Cost reports were being presented and different service models reviewed. Bus schedules and routes were being reviewed. There was a noticeable decline in the cockiness of attitude by district staff when hearing my presentations. I was seeing support from Board Members in finding a way to start a program to serve our kids. It appeared that something had happened and the tide was turning. The local press was aware of the OCR complaint, and continued to document our efforts. The community waited to see what was going to happen as our David and Goliath type drama unfolded. This entry was posted in Advocacy, Disability, IEPs, Inclusion, OCR Complaint, Parent Involvement, Public School and tagged Advocacy, Deafness, disability, Emotion, father to father, florida, hearing impairment, IEPs, Inclusion, Office of Civil Rights Complaint, parent advocacy, parent involvement, Public School, special education, State Complaint. Bookmark the permalink. 1 Response to 12. I Was An Informed Parent, And A Force To Be Reckoned With! Wilbur. This is absolutely fantastic. The wealth of information is truly invaluable. You rock!